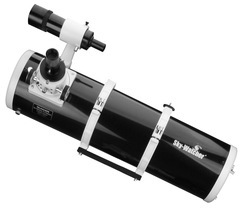 Skywatcher 150P reflecting (Newtonian) telescope. A great scope to start out with, to this date I have still not changed it. 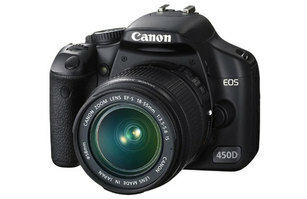 I use it for both visual observing and imaging. Large enough to see some of the faintest deep sky objects yet small enough to easily be part of a portable set up. Although this scope leans slightly towards being optimized for deep sky observations it still gives great views of Jupiter and Saturn and has resolved subtle detail on Mars. 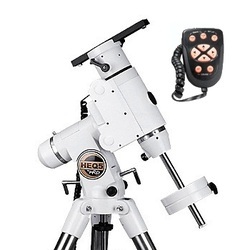 It is also very good for lunar observing and imaging. All of the images that you find in my gallery have been taken using this scope unless otherwise stated. 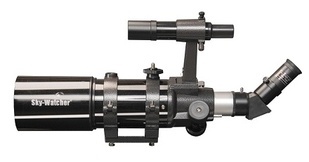 This scope is primarily used as my guide scope. 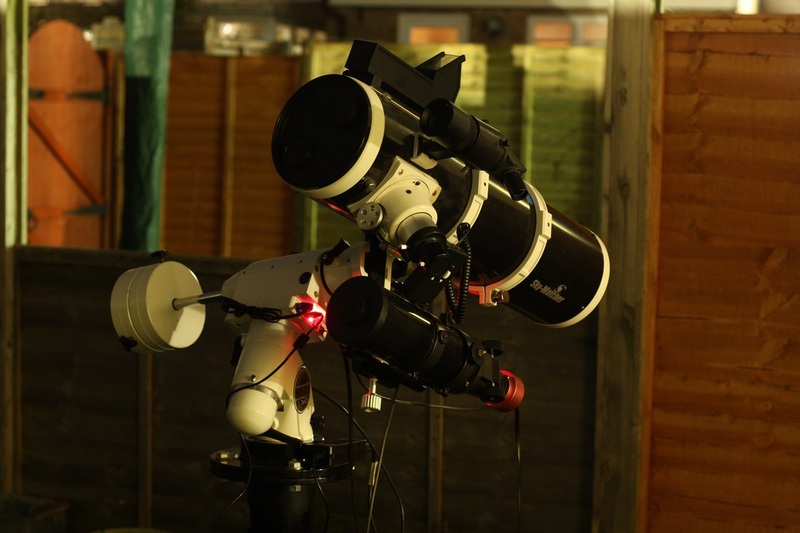 I connect a guide camera to it (see below) and using software on my laptop it effectively becomes the "eyes" of my mount watching for tiny variations in star movement and then moving the mount to compensate. This greatly increases tracking accuracy. It does also provide some great views of the moon and may in time become part of a "grab and go" setup. 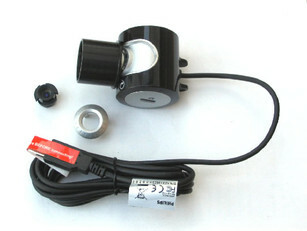 This little "off the shelf" PC webcam is a very popular choice for lunar and planetary imagers as a cheaper alternative to purpose built astro CCD cameras I bought mine for around £35 (although they are now harder to come by so more expensive) but they produce some excellent results. All of my planetary and most of my Lunar work was done using this camera. When purchased you also buy a nose piece and an infra-red (IR) cut filter. 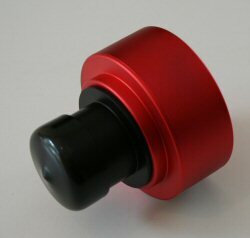 Pop the webcams lens out and screw the nose piece in place, this allows it to slide into the telescopes focusing tube. Removing the webcams lens also removes the IR filter which is why you need one that screws on to the nose piece. 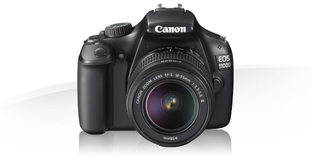 This is the camera I use in my ST80 as a guide camera. it plugs into my laptop and mount and is responsible for providing me with very precise tracking (when set up correctly!!) It does also double as a very good mono (black and white) Lunar and planetary camera.